This UEE40411 Certificate IV in Electrical - Instrumentation is helpful to develop skill sets to select, install, terminate, fault find and maintain instrumentation equipment and systems in industrial process control environment. This qualification is helpful for those who are committed to learn and are keen to gain experience in field instruments and systems installed in the Australian mining, processing, oil and gas industries. 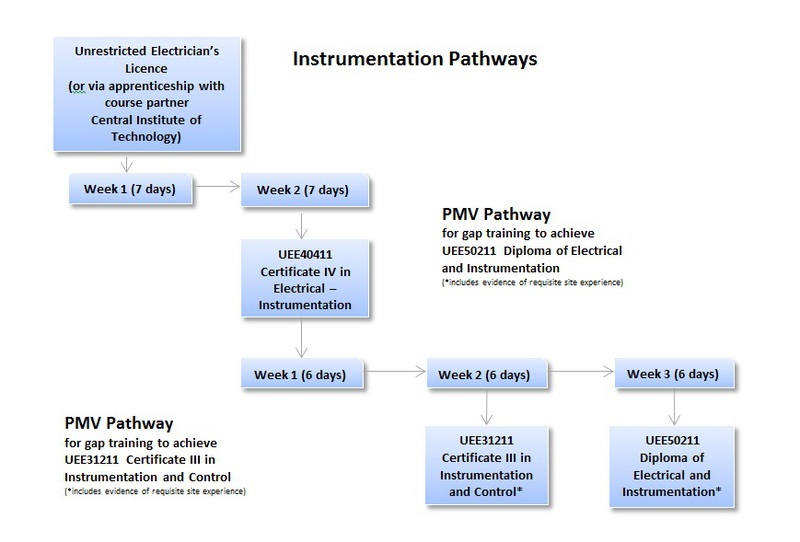 For more info or Enrollment click here - http://www.pmv.net.au/portfolio-item/certificate-iv-in-electrical-instrumentation Call us at (08) 9317 2146 / (08) 9317 2147 for Perth and (07) 3255 5952 for Brisbane.